The Honda Civic and Toyota Corolla have long been heated rivals in the low-cost sedan world. Today we'll look at some features from both and identify which of the two vehicles comes out on top based upon our four-category system. We'll cover everything from interior convenience to fuel economy to safety and more. Let's take a look! To start off where it counts, we found that the Civic pulls ahead on fuel economy. Both vehicles have amazing fuel-efficiency for their power and speed on the road, but Honda goes further with 32 city/42 highway mpg*. The power of the vehicle and its performance are not compromised by the engine's ability to maximize on fuel economy. The Corolla follows close behind, though, with an impressive 28 city/36 highway mpg*. Both are economical vehicles that don't lag in performance, but the Civic will get you more miles on a single tank. The 2017 Corolla has a modern look with sleek appeal that gave it the victory for this category. With Toyota's unique SofTex seat surface, you can be assured for a luxurious, leather-like feel that is also water and stain resistant. The interior has a spacious feel with its fluid dashboard, providing space and greater sight for the driver. This interior comes with the 60/40 rear-seat space saver. This means you can store long objects while still saving a seat for that rear passenger. The Honda Civic offers much in comfort and interior style as well. With a cloth seat and leather seat option depending on the model, you'll have exactly the amount of comfort you desire. Also available are heated adjustable seats for those cold winter days. The feature that sets this interior apart is its unique illumination. This adds a soft glow of light to the driver and passenger seat wells. Which should help if like me you drop your keys the moment you get in the car. 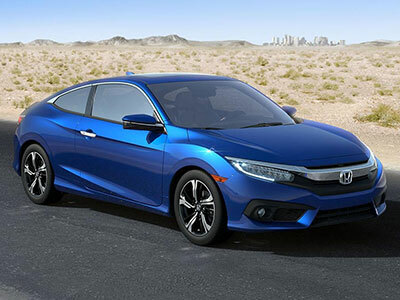 The Honda Civic wins in terms of the latest technology. You can connect seamlessly to your music, books, news and more with the available SiriusXM Radio feature. You can even connect your iPhone or Android with Honda's customized interface for both phone options. At the touch of a button, multiple apps and features of your choosing are available. If you have a compatible device, you don't have to worry about bringing your phone cable anymore because the Civic comes with a wireless charging mat for your smartphone. 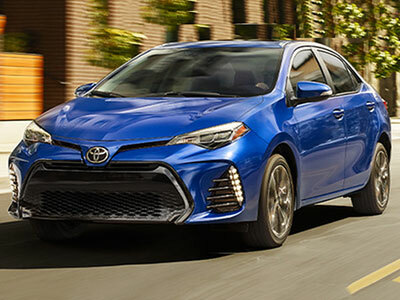 The Corolla offers its own arsenal in modern tech with similar connectivity options for smartphones and their applications. Also included are some of the field's sharpest voice-recognition software. This makes asking for directions or calling a friend easier than it has ever been. The Civic also doesn't disappoint when it comes to safety, with many features included to keep you and your family protected. Lane Keeping Assist is a system that will alert the driver when veering out of their lane and, if gone uncorrected, the vehicle may even automatically redirect itself back into your lane. Your Civic can also alet you when it detects safe following-distance has been passed and a collision is possible. When the alert isn't enough, and if the collision seems imminent, it will even apply the brakes. The Civic sports a 5-star safety rating**, making it a great family vehicle. The Corolla includes many of the same features when it comes to sensors. Automatic high beams help in low-light situations and will even toggle on and off when other vehicles are approaching. A Dynamic Radar Cruise-Control system means that the car will automatically slow down when closely approaching another car and will speed back up to the set speed when the way is clear. Both the 2017 Honda Civic and the 2017 Toyota Corolla offer a handful of features that are safety-conscious and consumer-minded. However, the Civic has more to offer in the areas of fuel-economy, technology and safety. Honda has crafted a vehicle worth praise. It's a sedan for the young and vibrant or the family man. Either way you'll find what you're looking for in the Honda Civic. Come in and take the Civic for a spin today! *** Government 5-Star Safety Ratings are part of the National Highway Traffic Safety Administration's (NHTSA's) New Car Assessment Program. Model tested with standard side airbags (SABs). For additional information on the 5-Star Safety Ratings program, please visit www.safercar.gov.